Athletes are immortal to us. They are bigger, faster and stronger. They accomplish amazing feats of physicality that we can only dream of. So when an athlete passes away during the midst of their career, it usually comes as a shock. 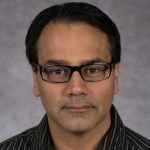 How could this person die? They’re so much better, at least on the surface, than everyone else? 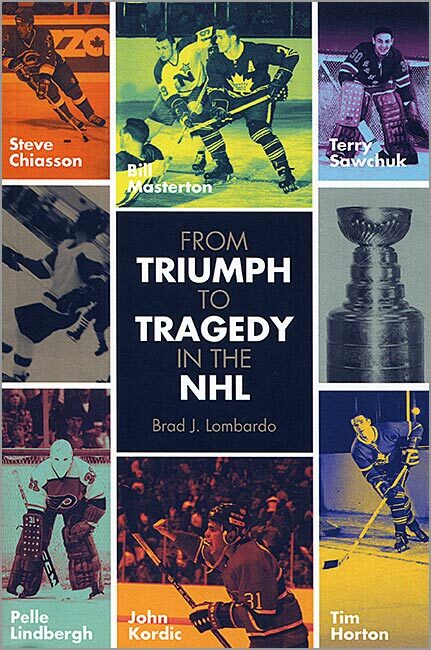 “From Triumph to Tragedy in the NHL” is a book by first-time author Brad J. Lombardo that profiles six NHL players who died during their careers: Bill Masterton, Terry Sawchuk, Tim Horton, Pelle Lindbergh, John Kordic and Steve Chiasson. Throughout 160 pages, Lombardo exhaustively recollects each player’s career accomplishments, the events that lead to their death, and the aftermath. 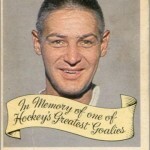 For example, the chapter about Sawchuk details his entire career, his family problems, his declining health, his off-ice fight with a teammate that led to his hospitalization, the surgeries to save his life, his funeral, and the subsequent investigation and grand jury hearing. 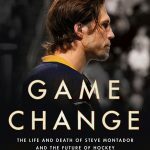 While Lonbardo does an admirable job of writing about such a heavy subject, his book is at its best when discussing Sawchuk, Kordic and Masterton. 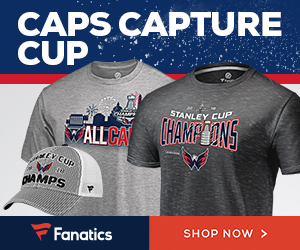 Lindbergh, Chiasson and Horton each made a poor decision that led to their deaths. On the other hand, Sawchuk, Kordic and, to a lesser extent, Masterton were already broken men — physically, mentally or both — by the time their careers were in full swing. The stories of these three men were truly tragic, and their untimely demises seemed all but inevitable. And though Masterton’s death is widely believed to have been caused by an injury suffered in a game, Lombardo gives several accounts that suggest other contributing factors. A significant part of Masterton’s legacy will always be that his death brought changes to the game of pro hockey, eventually leading to the use of better protective equipment. In the 1960s, sports journalists were often critical of the brutality and violence of hockey, and Masterton’s death crystallized that perception. 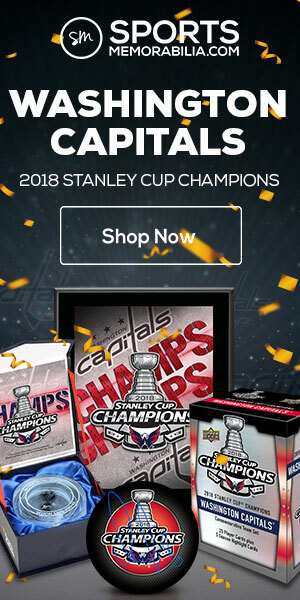 Such criticisms eventually had a positive impact on hockey, since the NHL and other pro leagues developed rules requiring passed legislation for more protective equipment while working to reduce needless on-ice violence. 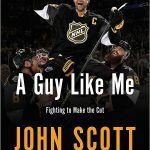 Portland fans claimed they had never seen anyone fight that well, and within weeks John had established himself as the team’s best defenseman and the league’s most feared warrior. Kordic’s parents went to many of the games and did not approve of their son’s fighting; they even stormed out of the arena in a huff one night when John badly beat up Seattle enforcer Scott Walker. When their son came to the hotel later that night to visit, an irate Ivan (Kordic’s father) slammed the door in his face. 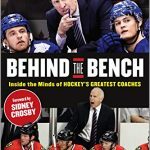 What I like about “From Triumph to Tragedy in the NHL”: The author has thoroughly researched each subject, and includes a list of sources for each player’s chapter, should you wish to seek out any further information on your own. 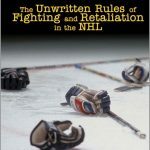 What I don’t like about “From Triumph to Tragedy in the NHL”: The author relies solely on what has already been published and did not conduct any of his own interviews, with former teammates or surviving family members.